Yesterday, we saw strong wins from NA teams Enemy and Cloud9. If you missed the action, you can check out the results here. Today brought us two Best of 5 matches: one between London Conspiracy and Titan, the other between Paradigm and Team Dignitas. This was a serious upset, much like the Team SoloMid vs. Enemy matchup yesterday. Both TSM and Titan were expected to take the stage at the World Championships, but now neither one will be making an appearance. London Conspiracy started strong in Game 1, taking an early lead and steadily increasing their advantage throughout the game. They kept taking jungle camps and clearing the board of any gold/EXP advantages or buffs that Titan might have been able to take. Titan had the opportunity to make a comeback by taking the Gold Fury, but it didn’t pan out for them. It fell to London Conspiracy instead, giving them a huge lead that snowballed in their favor to the end of the game. It looked like Titan was going to dominate Game 2, taking and maintaining a pretty significant lead until around the 40-minute mark. With the kill count at 19-24, favor of Titan, London Conspiracy nailed a quadruple kill that closed the gold/EXP gap and cleared a path for them to push into Titan’s base and take their second win. But Titan wasn’t ready to go down so easily. They switched up their picks in Game 3 to try a different strategy. It was a rough start, but they hit their stride toward the late game. A final team fight helped Titan clear out all of London Conspiracy’s players, leaving the base wide open for them to take down the titan and nab their first win. Game 4 was the most exciting one of the set. Titan took the first Gold Fury and dominated early on in team fights, earning a strong lead in gold/EXP/kills. Although Titan hung on to that lead for most of the game, London Conspiracy started to get some momentum in the last ten minutes. A team fight wiped out all of London Conspiracy, but Titan couldn’t get to their base to close out the game. London Conspiracy came roaring back, grabbing two Fire Giant kills to put Titan on defense before making a final desperate push into their base to secure the Quarter Final victory. London Conspiracy will move on to face Epsilon in the semi-finals while Titan will be matched up with Dignitas for the fifth place prize game. Most everyone expected this to be a highly polarized match. Because of their more aggressive play style, Paradigm was the favorite going into these games. But Game 1 proved that Paradigm may have made the fatal mistake of underestimating Dignitas, like Team SoloMid did against Enemy in Day 1. Paradigm grabbed an early lead, but a full team fight helped Dignitas close the gap. After all of Dignitas got wiped in another team fight, it looked like Paradigm was going to take the game. But Dignitas pushed hard, forcing Paradigm to overexert and leaving their base vulnerable. After wiping 4 of the 5 Paradigm gods, Dignitas made quick work of the titan to take the first win of the match. Paradigm returned with a vengeance in Game 2, taking a huge mid-game lead. Bacchus was surprisingly central to this game, inflicting serious damage with no natural counter on the field. Paradigm dominated in team fights, clearing the way to Dignitas’ base at the 30-minute mark. By the end of the game, Dignitas only had 3 kills. The pick phase for Game 3 took commentators by surprise, with some strange picks on both sides. Dignitas grabbed a “scary” Ares/Hou Yi combo. They took an early lead and carried it throughout the game. The switch-ups in the pick phase weren’t enough to help Paradigm, and Dignitas nabbed a solid win. Game 4 was the crucial game in this set. Dignitas took an early lead, and it looked like they were going to take the match. They moved in to take the first Gold Fury, but it resulted in a 0-3 team fight, favor of Paradigm. This gave Paradigm a huge EXP advantage that started to snowball. They dominated the next few team fights, grabbing a 0-4, a 2-5 wipeout, and another 0-4 encounter — all in their favor. After mowing down all the resistance, they took the Dignitas camp by storm, taking down the titan and forcing the match into Game 5. The commentators called it “one of the most ridiculous calls we’ve ever seen in competitive SMITE”. This turned out to be a fatal mistake for Dignitas, as Paradigm took the Fire Giant and pushed hard into their base, taking down the titan. Against all odds, Paradigm secured the Game 5 win, guaranteeing their spot in tomorrow’s semi-final round.
.@paradigmGG have done it! 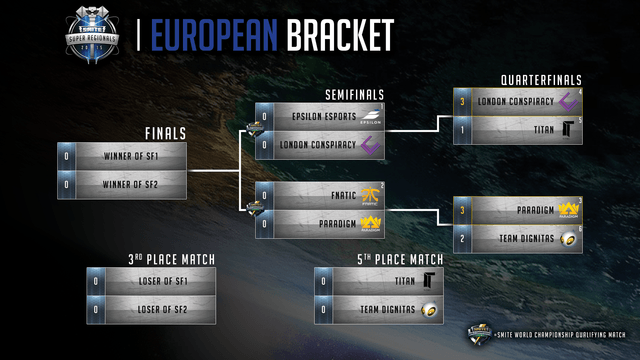 After turning the series around they defeat @TeamDignitas 3-2 and advance to play @FNATIC in the semis! GG! The European teams will be back on Friday, November 20, for their semi-final round, before the best of the best teams move on to play in the final matches over the weekend. 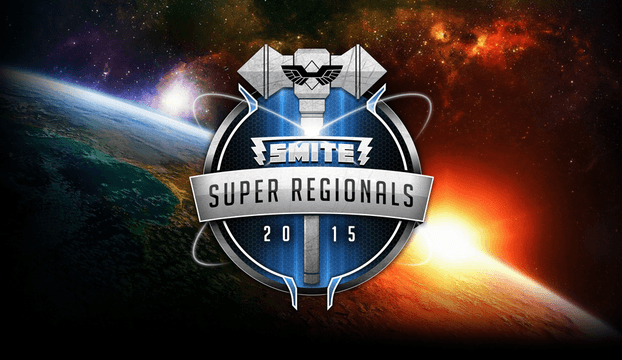 To watch all the action, tune into the SMITE Twitch channel or follow @SmitePro on Twitter. And stay tuned to GameSkinny for all your SMITE coverage. Next Next post: Gamer Launch Needs Your Help!